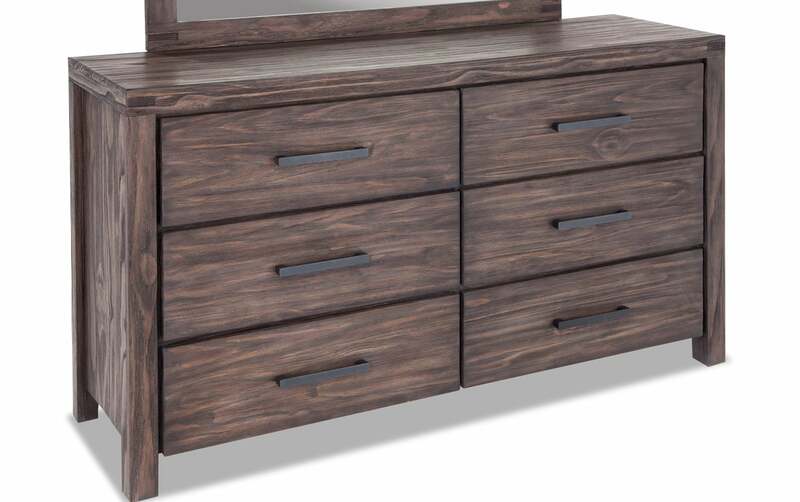 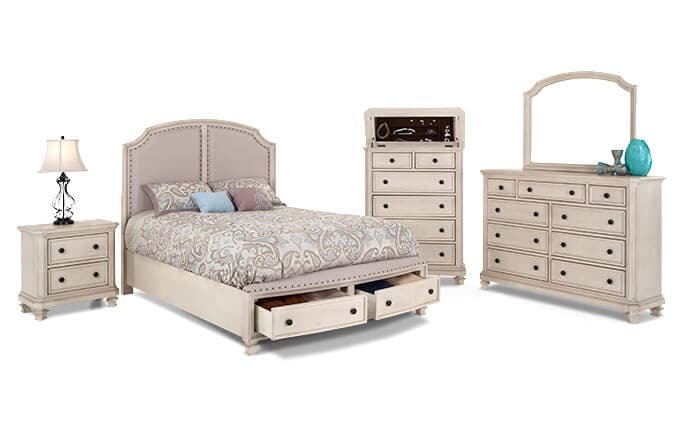 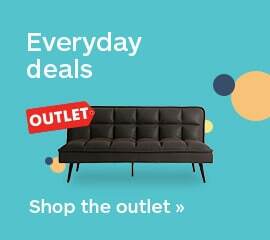 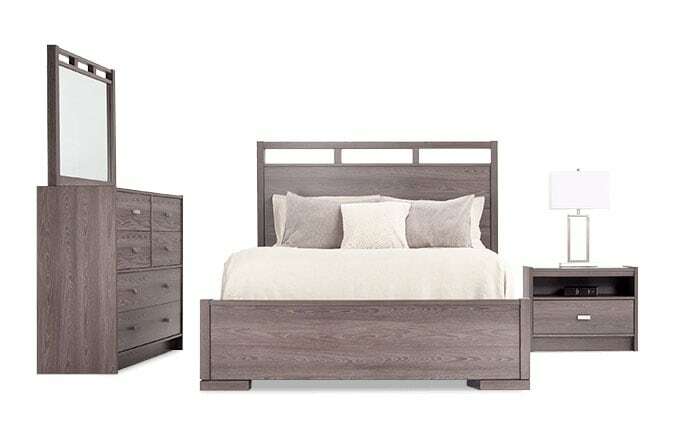 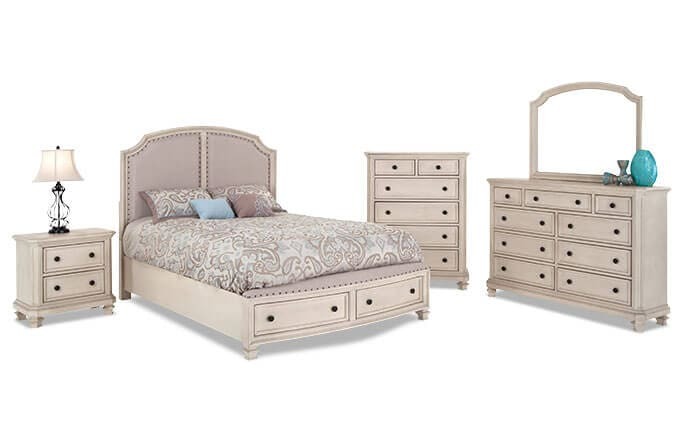 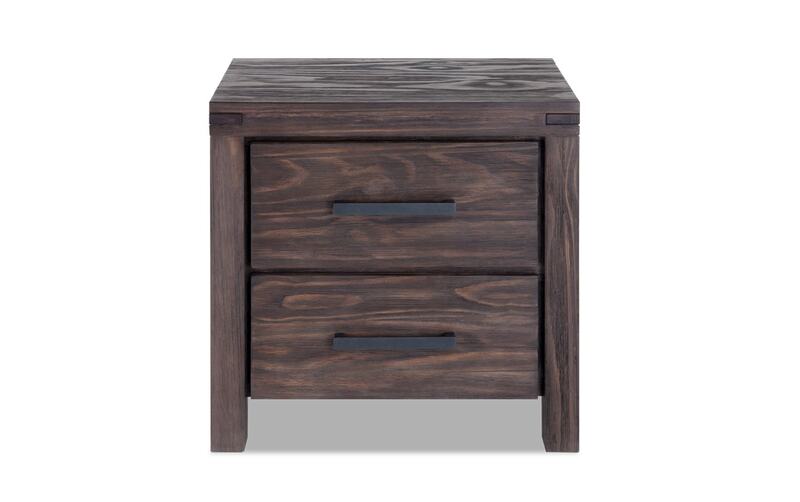 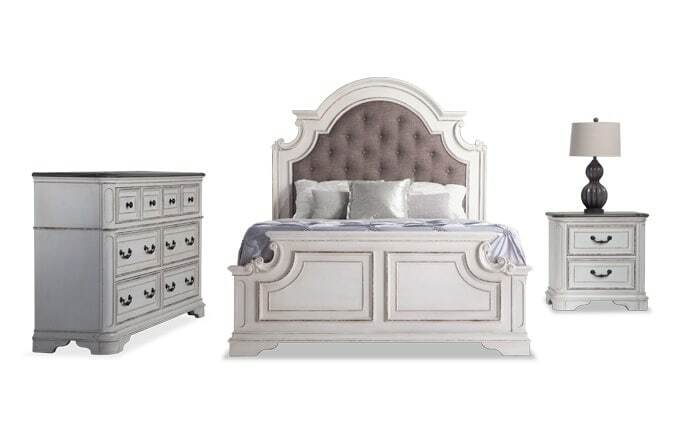 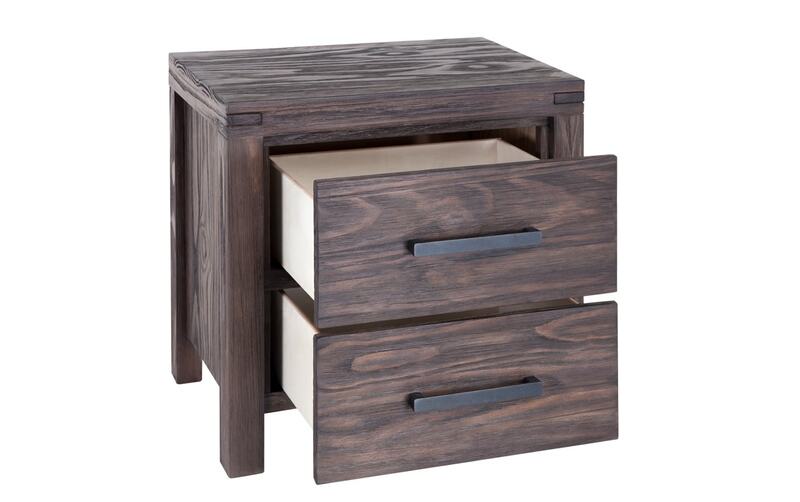 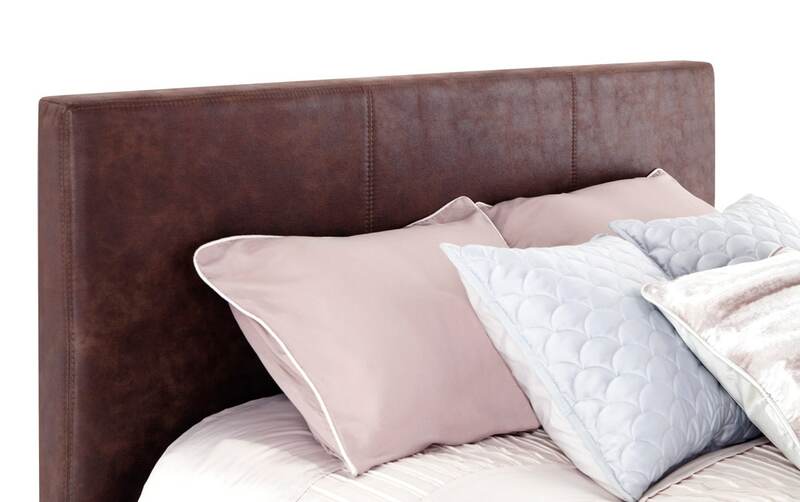 Indulge without the guilt with my Austin Upholstered Bedroom Set! 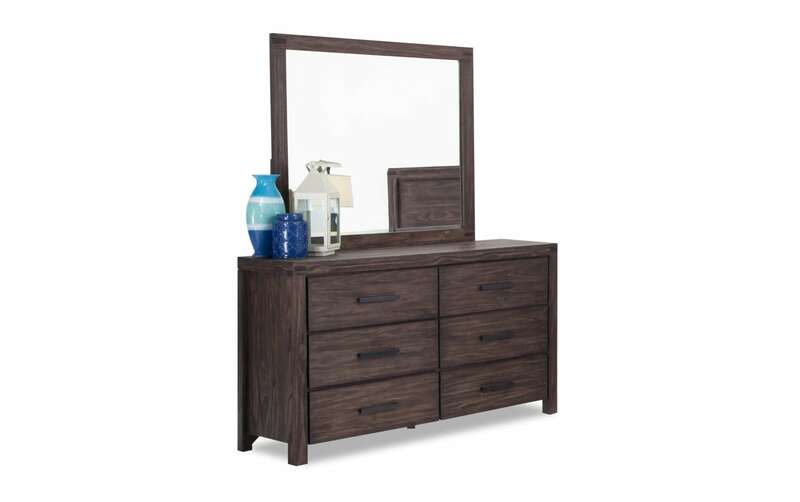 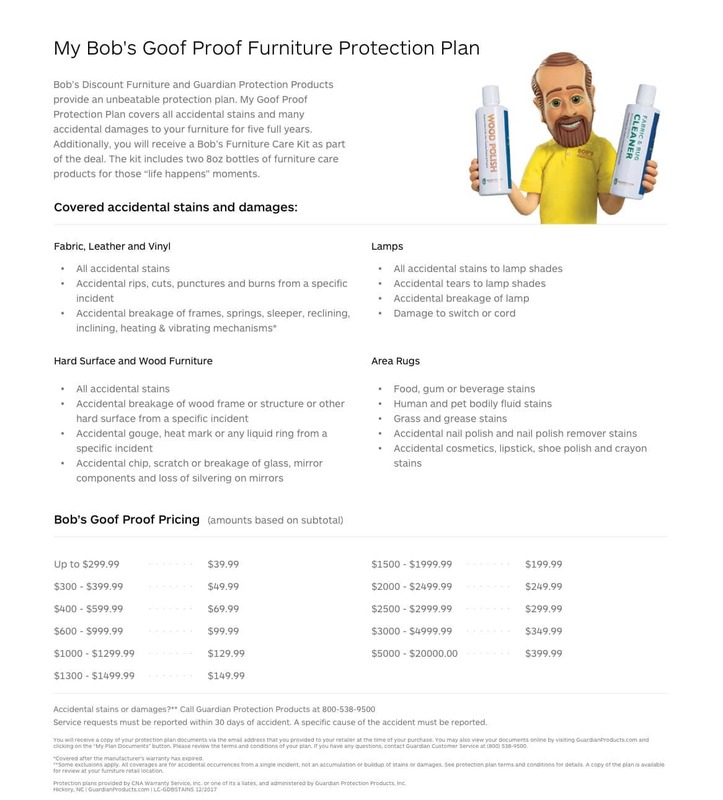 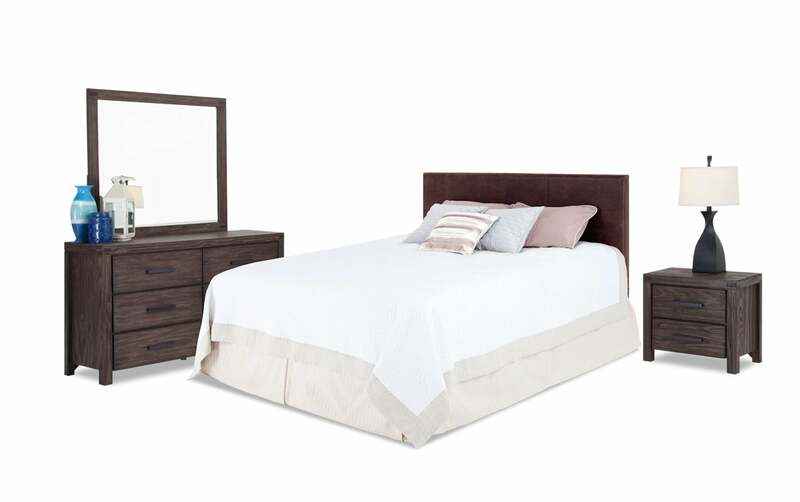 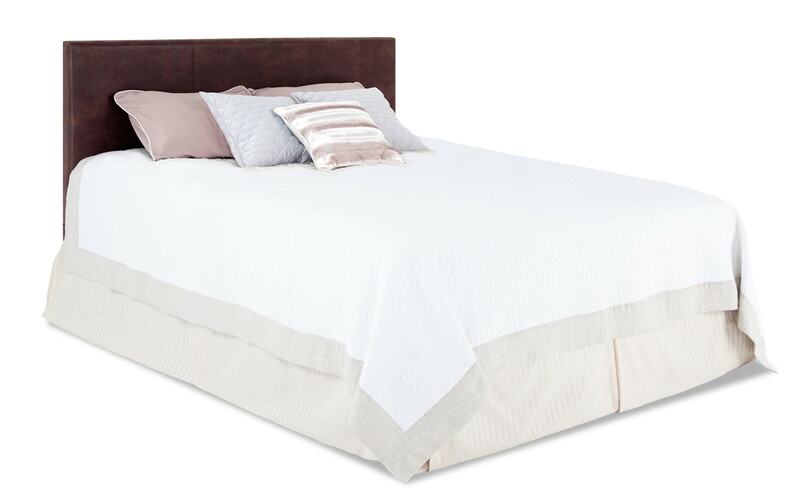 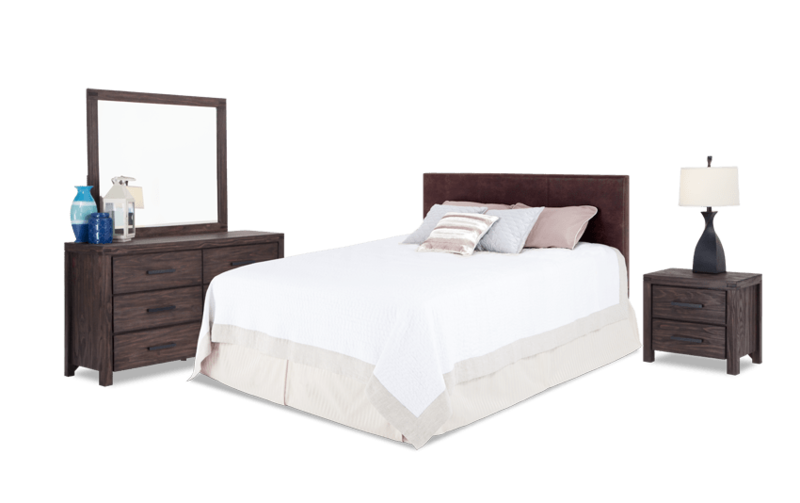 The upholstered headboard, nightstand, dresser and mirror are all 100% solid pine wood. 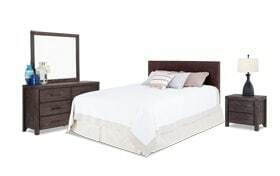 The rustic brown finish and rustic wire brushing make this contemporary bedroom set perfect for a high-end, top-quality look. 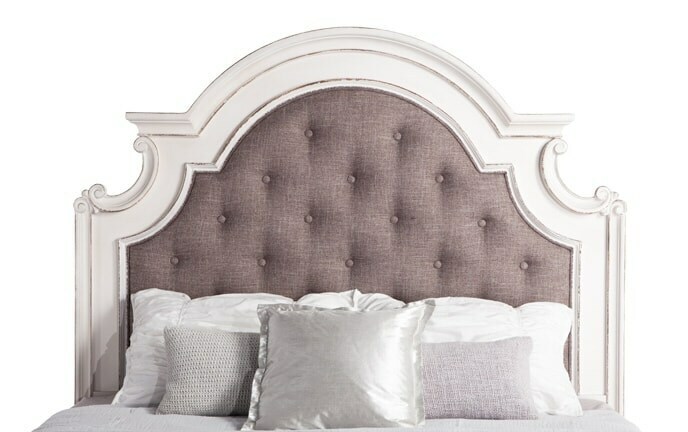 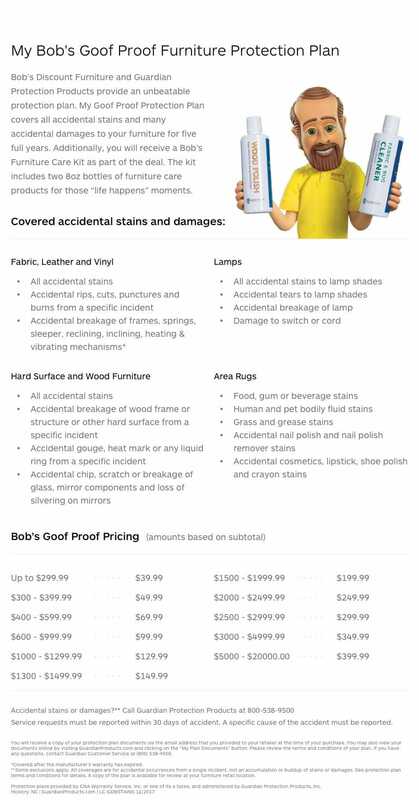 Plus, the thick, metal hardware, smooth lines, and unique natural beauty add to the value.Mattress and foundation not included.